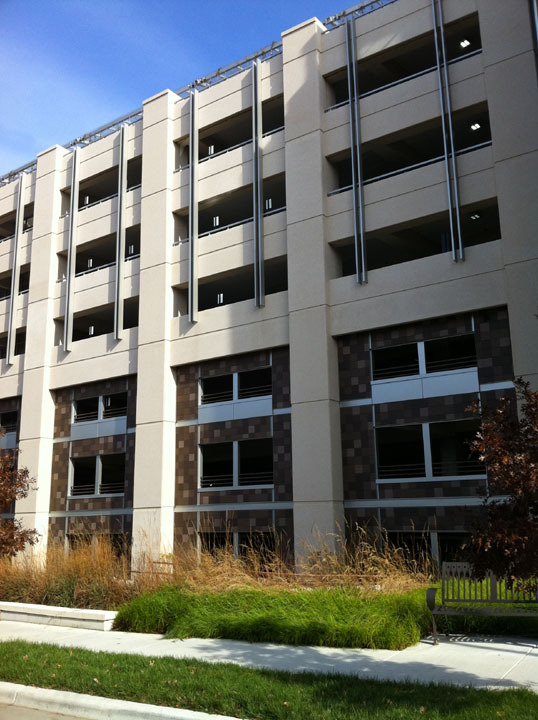 The LEED Certified rating for the Duke University Parking Garage IX in Durham, NC, is the first recognition of its kind for a free-standing garage. Other garages have been certified but all are attached to other buildings or part of a mixed-use environment. The garage opened in January 2009 and features more than 1,900 spaces. The parking garage blends well with surrounding campus buildings while providing a sustainable green design. The mixture of Architectural Precast Spandrel panels at the upper levels and Terra Cotta material at the lower levels provides an attractive design solution. Gate Precast in Oxford, NC produced 95,000 square feet of exterior panels for this project. The architectural precast components were manufactured in a controlled environment which offers reduced site disturbance and all-weather construction. This marks the second LEED Certified project Gate has been involved in on Duke's campus. Since 2003, all new construction at Duke has been required to work toward LEED-related construction. 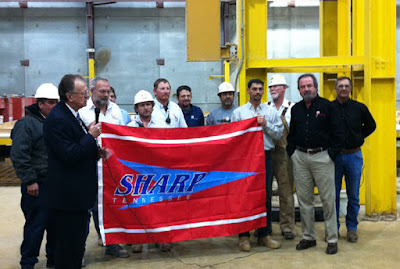 The campus has received 19 LEED certified projects. With seven LEED Accredited Professionals on staff, Gate has a true understanding of green building concepts and precast concrete's contribution to sustainable practices. Contact Gate to collaborate in the early design of your next project to determine how precast concrete can assist in the environmental requirements of your projects. 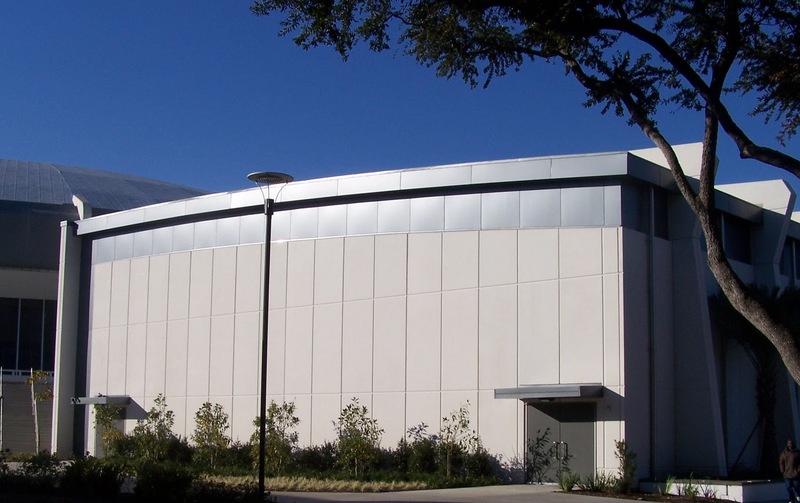 LSU's newest sports facility features a stark white architectural precast finish with self-cleaning and pollution-reducing properties when exposed to sunlight. With Louisiana's humid environment which is conducive to mildew which discolors building exteriors, Holden Architects, LLC, selected TX Active Photocatalytic Cement as a potential solution to mildew challenges. "With our rain and humidity, severe mildew will eventually attack building exteriors, particularly on the north side," explains Tom Holden of Holden Architects in Baton Rouge. "Discoloration can become a problem in a very short time, particularly if you have lighter surface tones." The new basketball practice facility is part of LSU's Pete Maravich Assembly Center, built in 1971. The architect wanted the new facility design to be in harmony with the landmark center's primarily stark white dome. TX Active's self-cleaning properties offered the university a solution that allows them to maintain its expansive white surfaces while reducing maintenance costs. Contact a Gate Precast Sales Representative in your area to see why architects are choosing TX Active as a means of meeting a variety of objectives, not least of which is a focus on sustainability. For more images go to LSU Basketball Practice Facility or email jmartin@gateprecast.com. The National World War II Musuem, Phase IV in New Orleans was awarded South Central Construction's Louisiana 2010 Best Cultural Project Award. 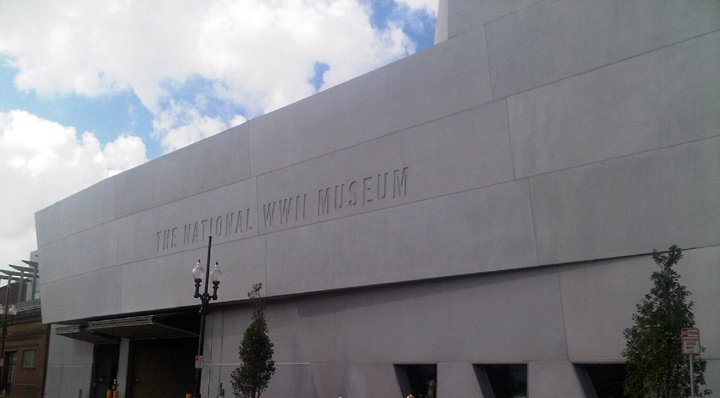 The highly regarded National World War II Museum expansion is a combined design effort of Voorsanger Mathes, LLC Venture. The tough urban exterior includes a palette of large architectural precast panels produced by Gate Precast. Very little is square about this structure. The precast wall panels are at different angles leaning out and in. Gate is proud to have been a part of this historic structure which honors millions of Americans who led us to victory in WWII. Can a precast concrete insulated wall panel provide the same level of protection as a solid precast wall panel when exposed to blast generated pressure loads? With the increased scrutiny in energy savings as directed by new ASHRAE codes, architects are utilizing the inherent benefits of insulated precast concrete wall panels to provide true continuous insulation, moisture vapor control and an unmatched design aesthetic. Until recently however, when faced with a project with a blast load requirement, architects and structural engineers had bypassed insulated precast concrete wall panels because little research had been done as to their capability to provide a level of protection after a blast event. The data received from recent full scale testing of non-load bearing, prestressed, insulated concrete panels at the Air Force Research Lab, Tyndall AFB, proves that an insulated precast concrete panel is a viable solution for buildings exposed to blast pressures at moderate standoff distances. Insulated precast concrete wall panels are typically constructed using an interior and exterior wythe of concrete, of equal thickness, separated by a layer of rigid insulation. Thickness of the concrete wythe is determined by analyzing the loads on the panel which could be governed by stripping the panel from the forms or through wind exposure and/or seismic loading. The result of this analysis yields a panel cross section that is relatively deeper than an equivalent solid panel with nearly the same mass, which is ideal to resist the dynamic pressures experienced during an explosion. For the testing program conducted at the Air Force Research Lab, two insulated precast wall panels were constructed; a panel with solid zones connecting the wythes of concrete and a panel that used a carbon fiber reinforced polymer wythe connector. A solid panel was also constructed and was used as a control sample. All panels were of equal length and width and supported in the test apparatus at the top and bottom of the panel and were assumed to be simply supported. The panels were exposed to five progressively higher explosive blasts. The results of this testing program make it clear that the use of insulated precast concrete wall panels as a cladding system for buildings exposed to blast loads provide a level of protection equal to that of solid concrete panels of equal mass. All panels experienced significant flexural cracking and permanent deflections through all blast intensities, though it’s important to note that no panel experienced catastrophic failure. Although more testing and analysis should be considered, Architects and owners who want a thermally efficient wall cladding but have to consider a blast design metric should feel comfortable in specifying insulated precast concrete wall panels.